The U-Brake is a special press brake, with which square-to-round fittings for air ducts and insulation can be made fast and easy. The open C-frame allows products to be easily placed in, and taken out of the machine. To establish a quick and safe work process, a short press stroke is required, because of this it’s more difficult to take products out of the machine. This is solved by designing an open C-frame construction, which does not compromise on the stability. 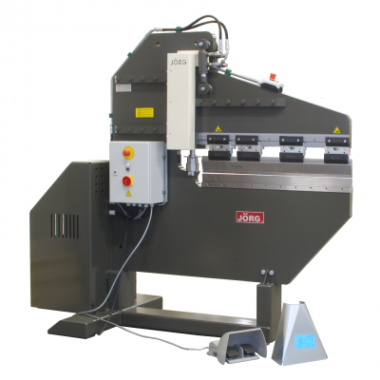 This press brake is ideally suited for producing square-to-round fittings. Other press brake operations are also possible.